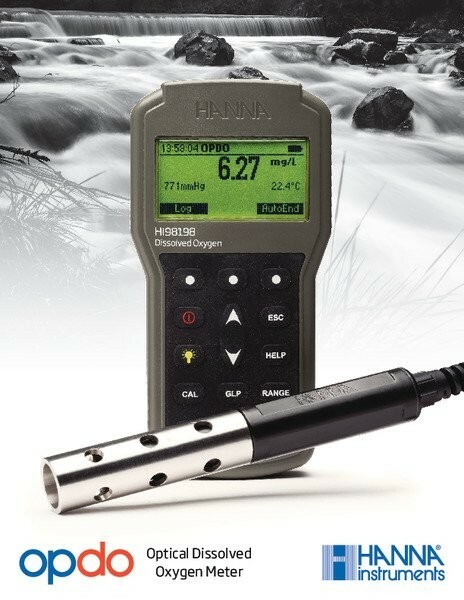 Product information "HI98198 | Optical Dissolved Oxygen (OPDO) Portable Meter"
Each meter is supplied with: • HI764113 Optical DO probe with built?in temperature sensor, protective shield and 4 m (13’4) cable, HI764113?1 Smart Cap™ with o?ring, HI7040 Bicomponent Zero Oxygen Solution, Calibration/storage vessel, 100 mL plastic beaker (2 pcs. ), 1 syringe with silicon grease, 1 lens wipe, 1.5V AA batteries (4 pcs. ), Instruction manual, Meter quality certificate, Probe quality certificate, Cap quality certificate, USB Type A to C cable. Related links to "HI98198 | Optical Dissolved Oxygen (OPDO) Portable Meter"
Customer evaluation for "HI98198 | Optical Dissolved Oxygen (OPDO) Portable Meter"